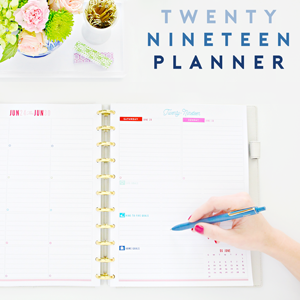 IHeart Organizing: IHeart Thirty-One Storage and a GIVEAWAY! 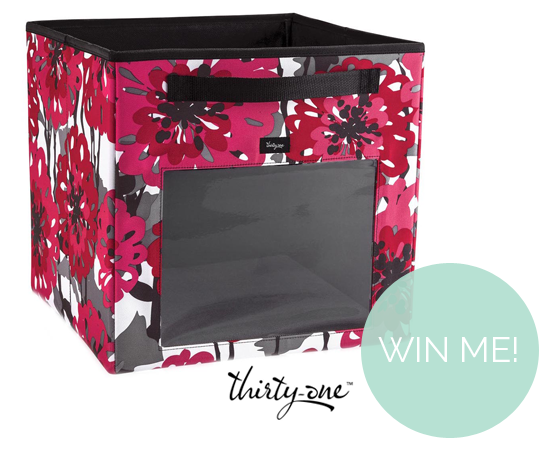 20 IHeart Thirty-One Storage and a GIVEAWAY! Being that I am working on cleaning out and organizing both of our cars this week, today's Thirty-One giveaway couldn't come at a better time! 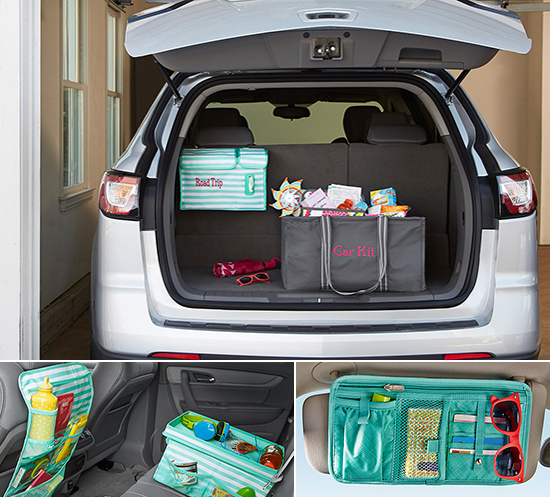 Thirty-One has made a super-sized appearance in the organizational world. They are known for offering an endless array of storage and organizing solutions in a wide variety of color and pattern options. To top it off, many of the items can be personalized to satisfy your love for labeling. Although I was eying up their automotive solutions, they have options that work in any room of the home. 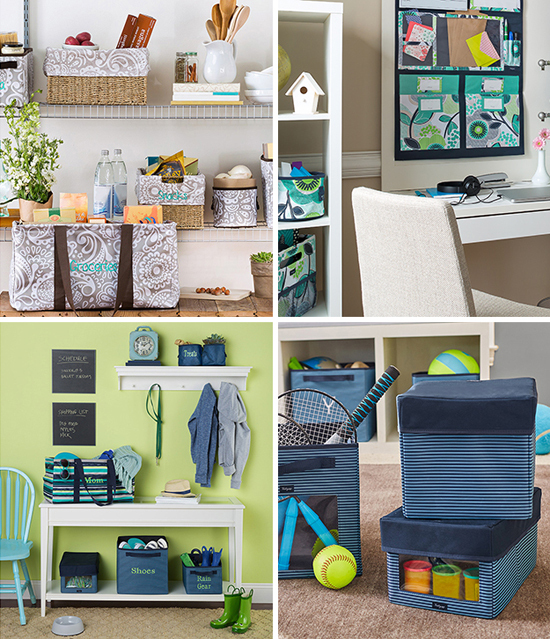 Below are just a few examples of how their storage bins, baskets and wall organizers make an appearance in a pantry, home office, mudroom and playroom. 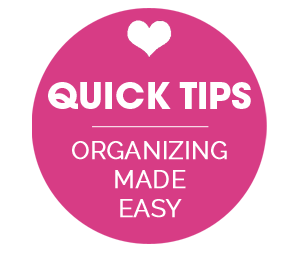 Re-think how you organize! This smart solution features rigid sides, handles, a clear PVC window on one side to help find what you’re after and an embroidery option for labeling. Approximately 12.5”H x 12.5”W x 12.5”D. 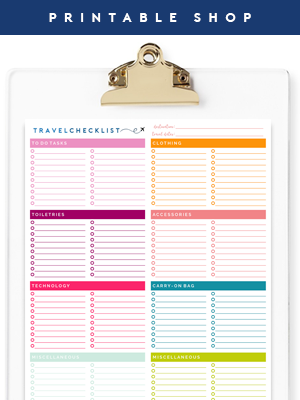 Available in a variety of color and personalization options. Must be 18 years old or older. Open to US residents only. No purchase necessary to win. All rules and entries must be followed to be eligible to win. Winner will be selected at random using rafflecopter.com and will be announced on original blog post upon drawing. IHeart Organizing official giveaway entry rules can always be found here. What a great giveaway. Is there any chance you'd feature a giveaway open to non-US residents in future? I realise shipping costs may be a factor for your giveaway sponsors but I'm always so disappointed when I see I can't enter lovely giveaways like this! 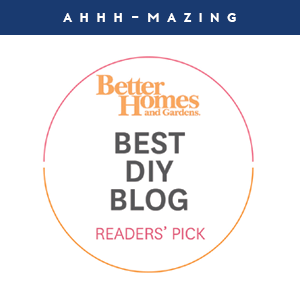 Love your blog and always look forward to seeing what you're working on. I do ask each potential giveaway sponsor if they would be willing to ship internationally. It always comes down to each sponsor's shipping policies, which are often dependent on international shipping rates and customs policies. I truly wish every giveaway could be open to all of my fabulous readers, and do try to hunt down companies willing to ship world wide. I love Thirty-One totes and storage. 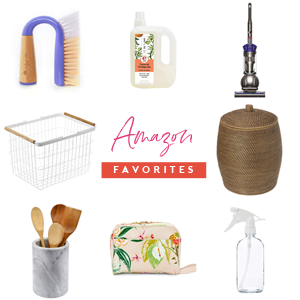 I have bought several of there fabulous products over the years. I love Thirty-One products! Fun prints and durability are a great combo! What is the 31 item on the back of the seat called? Also the one on the sun visor. Thanks for a chance. i need all the organizing help I can get, just ask my kids!! I would absolutely love to win this for my car! Ha! This is me also, but then last night he asked me... "Do you have a bag...?" Nope. None. What size? And I had one exactly the size he needed. My car is disgusting. I really need to do something about it. Maybe this weekend. Hoping to win because I love Thirty One products!